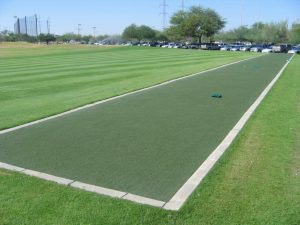 The time is long overdue for a tee that’s easy to use with driving range mats. 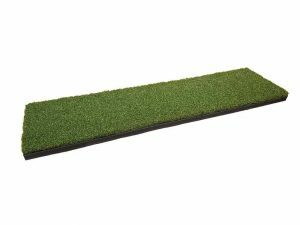 We now carry a tee that eliminates the issue most golfers experience with rubber golf tees for mats: finding the right size. The main concern surrounding rubber golf tees is that it’s difficult to find the right size. 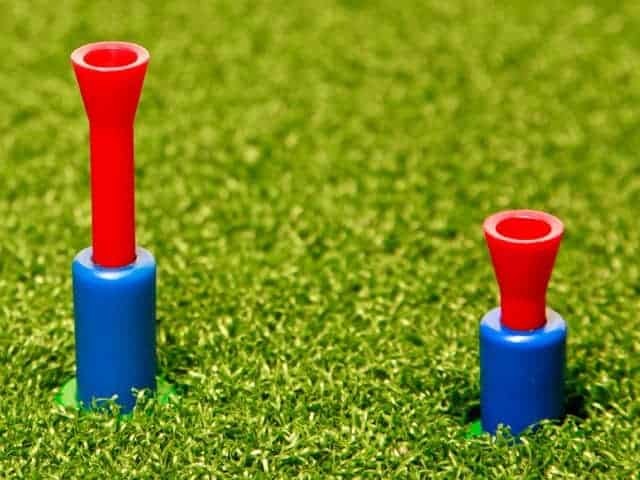 Teeing up with rubber tees can be difficult if you’re not familiar with the mat. 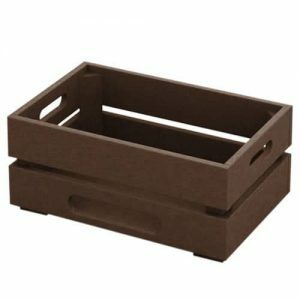 It may take a couple of tries to find the appropriate height. 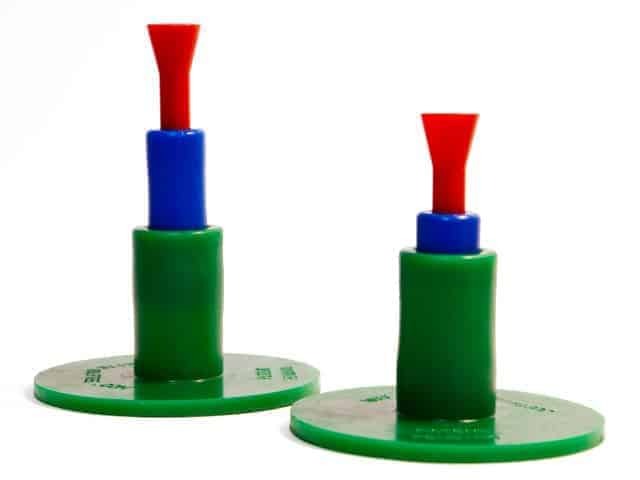 On the golf course, players can simply adjust the height of tee, but when teeing up on a mat at the range, a different size rubber golf tee has to be selected and re-inserted into the mat. 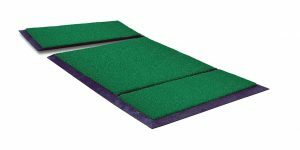 This problem goes away with an adjustable golf tee for range mats. 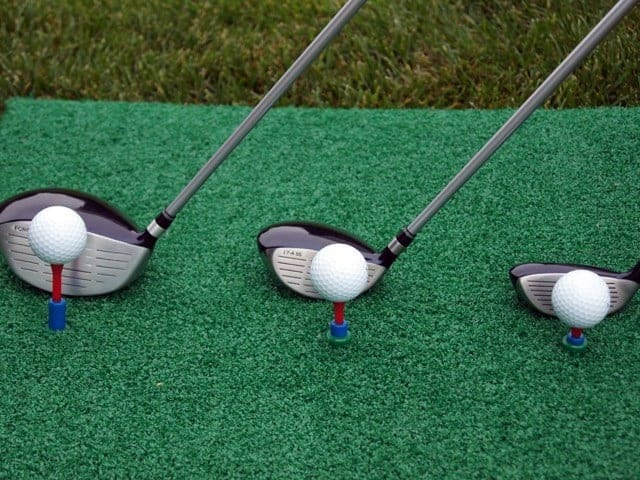 The Adjustable Golf Tee’s main feature is you can easily adjust the height, using only one tee to meet your desired swing. 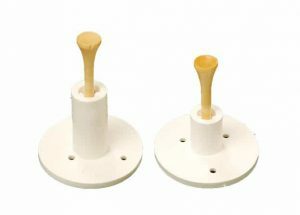 Golfers no longer have to dig through 4 or 5 different sizes of tees to insert into the mat. 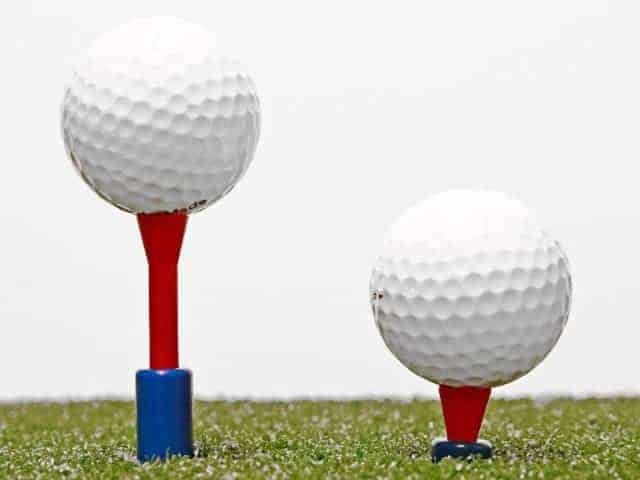 The golfer can simply adjust the height of the tee by pulling up or pushing down, just as they would with a wooden tee on the golf course.